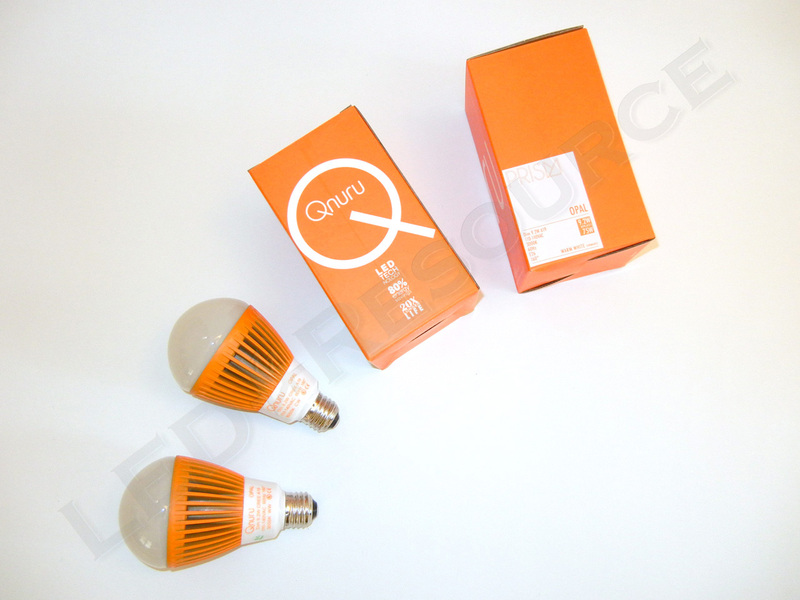 Qnuru’s Prism Series is a high performance line of LED replacement bulbs. In search of a brighter LED bulb for a higher incandescent wattage equivalent, we came across the Qnuru Prism Opal A25 bulb. 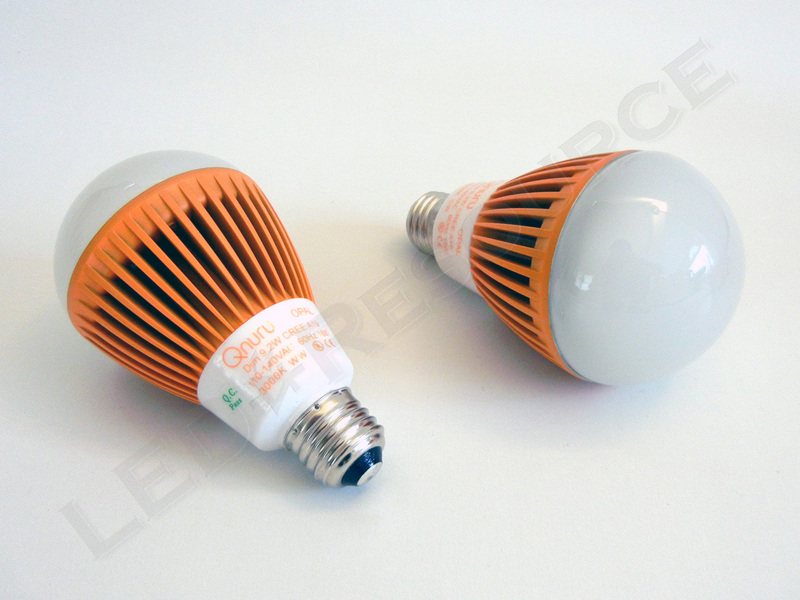 The Opal A25 uses 9.2W, is designed to replace a 75W incandescent, and is available in both warm white and cool white color. 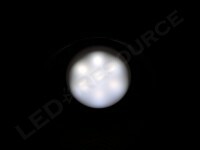 MSRP for the standard non-dimmable Opal bulb is $55.13 and the dimmable version for $61.60. 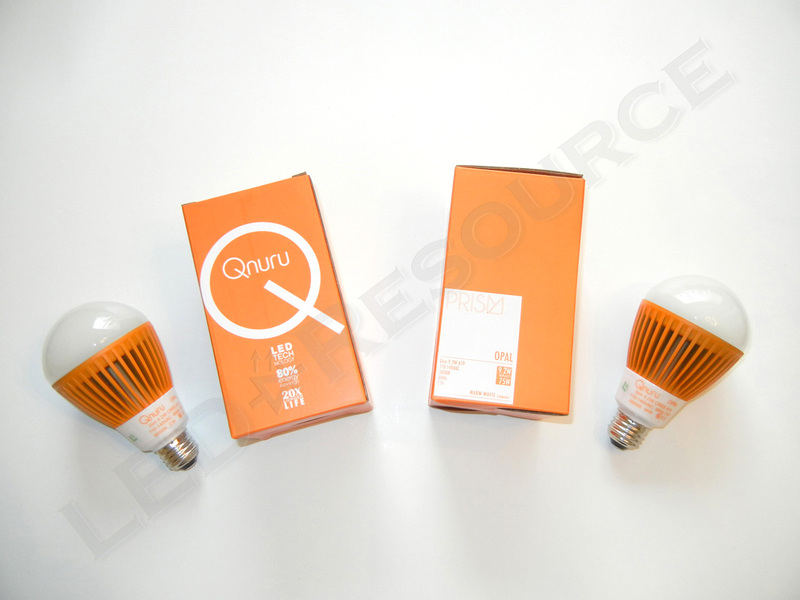 Currently, these bulbs are only available for order from Qnuru’s website, but we have received word that they will be available from retailers in the near future. The bulb consists of a frosted glass top, a painted aluminum heat sink that cools the LEDs and electronics, and a ceramic base. 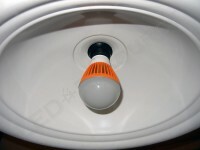 As such, the bulb is much heavier than regular bulbs and will require a sturdy lighting fixture. Light is spread evenly from the seven LEDs, which are arranged in a star pattern. The bulb size is A25, which is a little wider and taller than the typical A19. 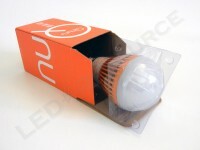 The Qnuru LED bulbs are offered with a dimmable option. We didn’t notice any electronic buzz or hum during our testing at various brightness settings. Color from the LED bulb is consistent regardless of dimming, unlike incandescent bulbs, which turn orange on low brightness. One location that had been difficult to find a suitable LED replacement bulb is the kitchen table in my house. With a single bulb above the table, a wide and bright beam is necessary. 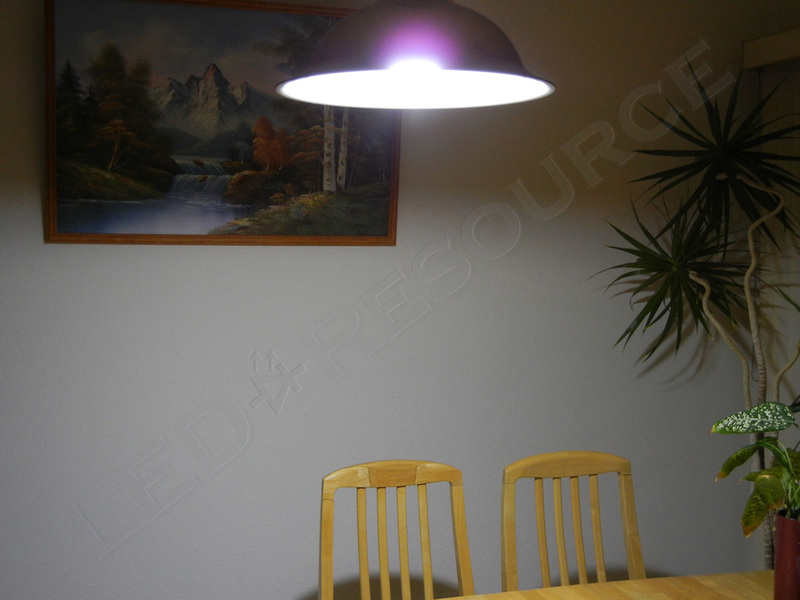 While LED floodlights can be very bright, the narrow beam only produces a hotspot on the center of the table. The Qnuru Prism Opal A25 has a 160° beam angle, and with 590 lumens from the warm white version, it comes close to the 27W CFL that it replaced. The color temperature of the warm white LED bulb is cooler than incandescent and is closer to pure white. We found the cool white LED bulb to be a little too harsh for use in the home and preferred the warm white version. 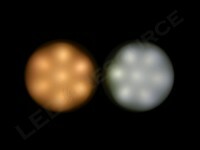 However, the cool white is brighter and works well as a work light on a desk or in the garage. Currently, the Qnuru Prism Opal LED bulb stands alone as a high-performance LED bulb with options for color and dimmability. With its wide beam angle and high output, it’s the only LED bulb so far that passed the usability test for my kitchen table. Even though it comes with a fairly hefty price tag, the Prism Opal is a good performer and will eventually pay for itself in energy savings. High-performance LED replacement bulb for greater brightness needs. I have some of Qnuru’s LED bulbs (slightly different model, dimmable, for recessed lighting). They’re fantastic. Costly, yes, but absolutely fantastic. I ordered 4 of these (2 of the 40 watt replacements and 2 of the 60 watt replacements, in cool white and warm white). We have six recessed lights in our living room ceiling and when I put these bulbs in they were indistinguishable in brightness from CFLs I had taken out. The warm light was deemed better by everyone I asked. I can go either way but when I put them in the bathroom the cool white was definitively better.